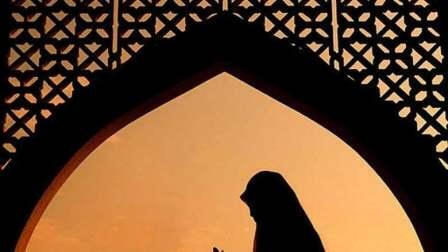 The Holy Month of Ramadan is expected to fall on May 17, while fasting hours are to exceed 13 hours a day. During the fast, the body rejuvenates itself and helps us detoxify by removing toxins from stomach, intestines and also boosts our immune system. With the scorching summer heat and a daily fasting period of about 15 hours, adapting to the changes in eating habits and daily routine affect different people in different ways. Food consumption: Begin reducing your meals to only moderate quantities. Having large meals will increase your appetite and make it more difficult to fast. Early breakfast: During Ramadan, we wake up early for Suhoor, the pre-dawn meal before the fast begins. It is important not to skip this. Start having an early breakfast from now to help your body get used to the earlier hours, especially if you are not much of a breakfast eater. Avoid snacking: Stick to only having three main meals - breakfast, lunch and dinner - and avoid snacking in between. Quit smoking during the day: To avoid irritability, anger, restlessness, impatience, and difficulty concentrating during fasting hours, reduce smoking during the day to mimic your routine when you fast. For those trying to quit smoking, Ramadan is a great time to quit bad habits such as smoking. Reduce coffee intake: If you are a coffee-lover and do not want to have a pounding headache during the first few days of Ramadan, start reducing your caffeine intake now. Switch to decaf, one coffee at a time, until you are only drinking decaffeinated coffee. Regulate sleep: If you normally sleep late and wake up late, start regulating your sleep from now, because during Ramadan you will be waking up early for Suhoor. You might also be sleeping earlier as a result. Alternatively, have an afternoon nap and sleep a little later. Whatever sleeping habit you choose, start to mimic it from now. Consult a doctor: If you have concerns over your ability to fast for whatever reason, be it diabetes, high blood pressure or reflux, schedule an appointment with a doctor who will tell you if fasting is safe for your health. Before starting the fast, it is best to research the nutritious value of the food you eat as feasting while breaking the fast is not the best way to observe a fast. As it is summer in the UAE during Ramadan, drink plenty of fluids; consume watery fruits like melons, watermelons, cucumbers, salads. Dig into vegetable and fruit juices, soups, stews etc. With a wide spread of delicacies to choose from during the Ramadan iftars, it is common place to feast while breaking the fast and thereby adding on more pounds. A healthy way of doing it would be to include plenty of vegetables, fruits and fluids, and modest amounts of dairy, nuts, seeds and sprouts, for the body to function effectively. 2-Do not eat too much immediately, there are no specific guidelines as to the time gap to be maintained to have a proper meal but it is definitely essential to keep a watch on the quality of meal. 3-Consume foods that are rich in complex carbohydrates and protein. For example: an egg on whole-grain toast, a few crackers with peanut butter, some orange slices, and two glasses of water. 4-Do not forget to include mineral rich foods such as banana, raisins, cheese, yoghurt, beans, spinach etc. in your diet. 5-Do not burden the stomach- keep it light. Avoid overeating, and be sure to drink a few more glasses of fluids. Water flushes out toxins from our body and prevents dehydration. Aim for 8 glasses by bedtime. 1-Avoid eating heavy curries, fried or oily food as it will take a toll on your stomach. 3-Do not eat too late into the light as it can induce digestive disturbances like reflux, heartburn etc.